U.S. Soccer Grassroots License Courses | GMSC INC.
For any coaches interested in continuing or expanding your coaching in soccer please check out the up coming local courses. 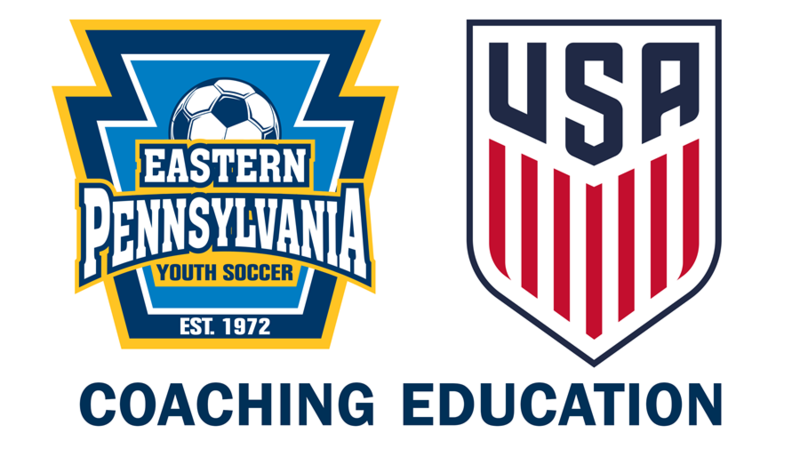 U.S. Soccer and Eastern Pennsylvania Youth Soccer are proud to announce the launch of four new in-person Grassroots License Courses. Each of these educational opportunities are hosted by U.S. Soccer member organizations and are tailored around the four new Grassroots game models: 4v4, 7v7, 9v9, and 11v11. These course options will offer coaches the chance to learn more about how to develop a player-centered approach to coaching. Spanning four hours in length, each in-person course consists of both classroom and field-based sessions. Coaches will learn more about U.S. Soccer’s Coaching Education Philosophy, Play-Practice-Play Methodology and the Six Tasks of a Grassroots Coach, among other topics. After completion of the course, coaches will have the knowledge and tools to positively impact their players and the environment in which they interact. For more information on the Grassroots License Pathway, click here.